TV with Thinus: Khanyisile Kweyama recommended as new SABC chairperson of the to be appointed interim SABC board. Khanyisile Kweyama recommended as new SABC chairperson of the to be appointed interim SABC board. 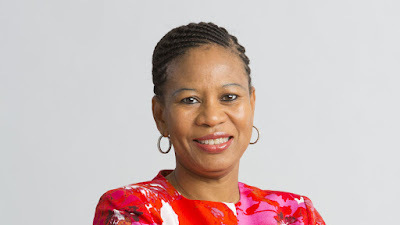 Khanyisile Kweyama has been recommended in an urgent meeting by parliament's parliament's portfolio committee on communications to become the new SABC chairperson of the to be appointed SABC interim board. The beleaguered SABC, mired in allegations of corruption, mismanagement and maladministration has been left rudderless for months. The SABC has been without any SABC board or board members, no permanent CEO and COO for months and has been absolutely gutted after the firing of numerous top executives who are all gone after the sprawling internal management destruction wreaked inside the public broadcaster by the controversial former COO Hlaudi Motsoeneng. The respected veteran journalist and former newspaper editor Mathatha Tsedu were recommended as deputy SABC chairperson, while Krish Naidoo, Febe Potgieter-Gqubule and John Mattison were recommended as interim SABC board members. Krish Naidoo is a former SABC board member. He resigned spectacularly and with dramatic effect in late December 2016 in parliament during parliament's investigation into the shocking maladministration of the SABC and made several damning revelations about the SABC's flouting of corporate governance requirements. Veteran journalist and editor John Mattison is a former broadcasting regulator councillor and responsible for the SABC's election coverage in 1994. Khanyisile Kweyama who has a masters degree in management from Wits university, is the former CEO of Business Unity South Africa (Busa) and a former executive director of Anglo American SA, the first woman to hold such position at that company, and a former Telkom board member. Khanyisile Kweyama also served on the National Planning Commission appointed by the president and served on a provincial group fighting racism in Gauteng, appointed by the Gauteng premier. What happens now is that the portfolio committee on communication's report, recommending the interim SABC chairperson and interim SABC board members, is sent to the National Assembly. On Wednesday the report is tabled at the National Assembly, after which it is sent to president Jacob Zuma to basically rubber-stamp and approve the appointments, making it official.